It’s fair to say that the Ninth Wave aren’t quite like any other band. From their stylish gothic aesthetics to their vibrant, post-punk tinged tracks, the band haven’t put a foot wrong since their exciting shift that was solidified with the release of their debut EP ‘Reformation’ last year. 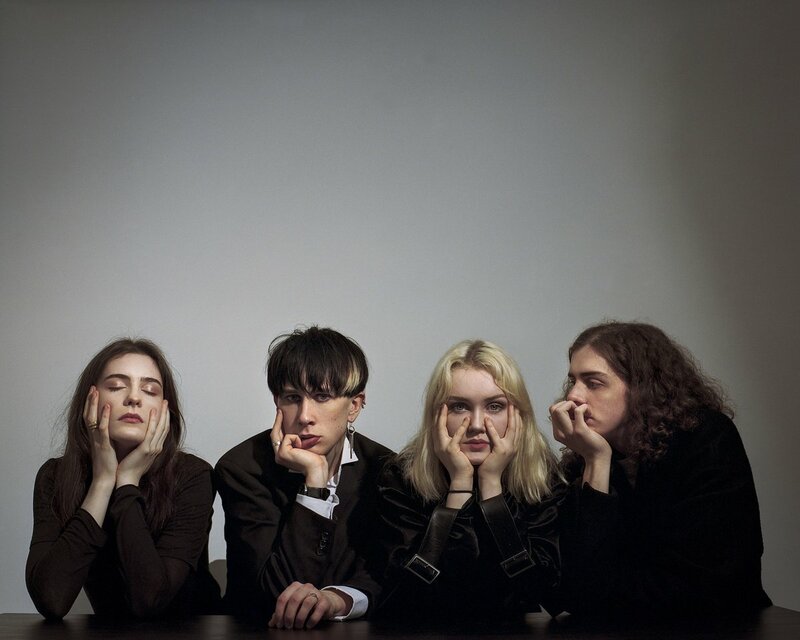 It therefore doesn’t come as much of a surprise to see that everything about their London gig has been planned carefully and thoughtfully- from the unorthodox yet hugely innovative choice of venue, bringing an atmospheric show to the Sebright Arms featuring a certain degree of gothic drama. The swelling crowd began to grow in size as they took the stage, bolstered by a notable number of faces keen to see what all the fuss is about. Brimming with brooding melodies, gothic synths and sky-high ambition, it’s the sound of a band who have certainly found their individuality. ‘Reformation’ embraces an empowering message with a deeply cathartic chorus, brought to life in such thunderous fashion. Bringing shades of coloured lights, rapid synths glisten and ring around the venue, matched with soaring guitars and intense rhythms, alongside Haydn’s vocals that flow seamlessly. ‘Swallow Me’ sees the lipstick adorned, red gloved frontman shed his guitar and take the spotlight, every inch of him shining showmanship. Oozing confidence and vitality, the collection of songs on display reinforce their ability to lure the listener into their deliriously dark, brooding world, while simultaneously demanding attention. Naturally, known singles ‘Liars’ and ‘Heartfelt’ provides real highlights, seeing the crowd lose all sense and jump along to its inescapable traits. That evening confirms all our suspicions about this mysterious band. They truly are bursting with endless ambition and powerful determination to cut their own path. And with the release of newest single ‘New Kind of Ego’, plus a showcase at this years Great Escape already confirmed, the only way is up for this fiercely talented outfit. It surely won’t be long before their appeal spreads far beyond the corners of London.